Crowds gathered at Yarmouth on the Isle of Wight to celebrate Shrove Tuesday with the annual pancake day race. Pictures courtesy of Adrian Evans. 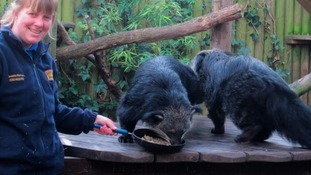 Zookeepers at Port Lympne in Kent helped their capuchins mark Pancake Day.